In the name of choice and control, Lansley is really pushing through further privatisation. Where the NHS has privatised services, such as cleaning and computers, the results have been superbugs and dysfunction. The NHS is ours. It does not belong to the Government. We pay for it with taxes. It therefore cannot be ‘liberated from the State’, as the Tories suggest. They said they could be trusted with the NHS. They lied. You can read the whole of Suzanne Moore's excellent piece from yesterday's Mail on Sunday here. For only the second time since 1995, a team from the 'Big Four' has lost a major final to a team from outside the ‘elite’. 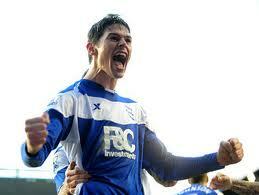 Well done to Birmingham City for their fantastic performance against Arsenal at Wembley today. David Cameron has said the government will set out plans to allow private and voluntary groups to run almost every kind of public service. He told the Daily Telegraph there would be a new "presumption" that private companies, charities and voluntary groups could run public services. 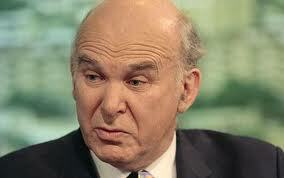 But unions accused him of trying to "privatise everything". General Secretary of the Trades Union Congress Brendan Barber accused Mr Cameron of pursuing a "naked right-wing agenda" that would take the country back to the most divisive years of the 1980s. Quite. How many people want to see privatised libraries, a privatised NHS and a privatised welfare state? Read Dave's DT article and then go back to read George Monbiot’s excellent Guardian article on how British politics works, which I linked to here. Governments don't ask themselves "what can we do that is good for the people?". They ask themselves "how do we persuade people that what we want to do is good for them?". The task of both politicians and the corporate press is to convince us that what is good for billionaires is good for everyone but billionaires. …..An economic war is being fought here. Wealth is being transferred from the poor and middle to the rich at stupefying speed and on a stupefying scale. The financial sector seeks to wring every drop from the productive economy, heedless of the eventual impacts. The government is there to help. And that is what the ‘Open Public Services’ White Paper is all about. There’s good sports-writers, very good sports-writers, and then there’s James Lawton. Lawton wrote a great piece in Friday’s Independent taking issue with Arsene Wenger’s claim that the current Barcelona team are the greatest football team of all time. 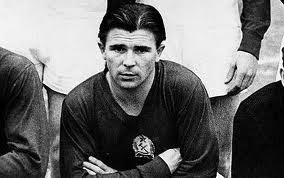 According to the Elo all-time football ranking system – a hoarder of data that also analyses the achievements of chess masters – the greatest piece of sustained football brilliance was by the players of Hungary, who won the Olympic title in 1952 and were denied the 1954 World Cup by a West German team they had not merely beaten but eviscerated in a group game – and one which is also now widely believed to have been fuelled by illegal substances when they created one of the greatest shocks in the history of the game. Hungary, of course, also beat England 6-3 in the mythic Match of the Century... on a damp afternoon at Wembley in 1953. They belittled English claims of a fluke when they repeated the punishment in the Nepstadion in Budapest the following year, this time by 7-1. The point about Hungary, though, was not just the brilliant flow of their game but also the fact that they had changed it in quite fundamental ways of movement and thinking. Lawton is brilliant too with his comparison of the wonderful Brazil team of 1970-which scored 19 goals on their route to World Cup glory, with the Spanish team of 2010 who scored only 8. What’s your greatest national team of all time? The Magical Magyars? The brilliant Brazilians of 1970? Or what about the ‘Total football’ Dutch side of the mid 1970s? And what about the greatest club side you’ve seen? Don Revie’s Leeds United? The AC Milan team of the late 80s? Bob Paisley's Liverpool? The Man United team of 1999? Or perhaps the Real Madrid side of the 1950s? 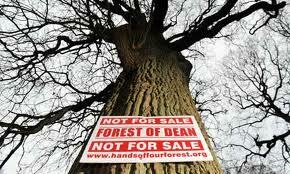 Great news- England’s publicly owned forests have been saved. Now it’s time to save the Royal Mail, and our public libraries. And let’s hope public pressure can get Dave to drop the ‘Big Society’ BS too. (great post by The Mole on this). If you haven’t seen it already there’s a quite wonderful piece by George Monbiot in today’s Guardian, on why the British government won’t be condemning short-selling. To understand its position, you must first understand that the government is not managing the economy for the people of this nation. It is managing it for a tiny transnational elite, a kind of global gated community. To the people inside the gates, who fund the Conservative party, who own our politics, the media and the banks, the rest of us are an inconvenience, to be bribed, threatened or fooled. The politicians who get to the top in these circumstances don't just present no threat to the gated community, they actively do its bidding. That is why Tony Blair succeeded where his Labour predecessors failed. And in another story about the Tories and their City pals, here’s the Daily Mail. David Cameron was accused of ‘gross insensitivity’ last night after it was revealed that internships with City hedge funds were sold to wealthy Tories’ children for thousands of pounds to raise cash for the party. At the Conservatives’ Black and White Party, millionaire Tory supporters paid around £3,000 each for their children to have the golden chance of spending a week or two with a number of top finance companies and banks. If they do well and win a full-time job, they could join the ranks of City tycoons who earn multi-million pound bonuses. Love, as defined by (Dr Erich) Fromm, can still be found in modern Britain. Millions of Britons enjoy deep and loving relationships, while the generosity shown by many towards those affected by the Indian Ocean tsunami disaster was an outstanding example of brotherly love in action. Yet where love exists, it does so despite an economic system whose underlying principle is inherently hostile to it. You can read the whole of my 2005 New Statesman article on how we forgot the art of loving, and why we urgently need to rediscover the work of the great German psychoanalyst and social philosopher Dr Erich Fromm, here. 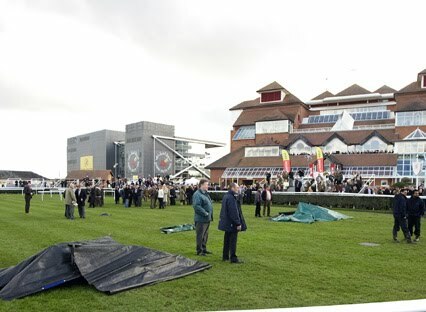 The thousands who piled into Newbury racecourse yesterday - myself included - were looking forward to watching some top quality racing on one of the most prestigious days in the National Hunt calendar. None of us could have predicted we would witness one of the most appalling tragedies ever seen on a racecourse. 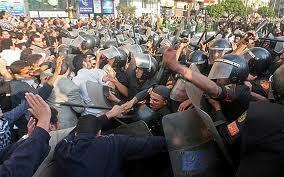 Neil Clark: Iranians are being asked to support Egypt’s ‘Islamic awakening’. But will it backfire on Tehran regime? Many western liberals have been keen to portray recent events in Tunisia and Egypt as the Arab world’s 1989: the year when street demonstrations and anti-government protests were followed by the fall of long-standing Communist regimes in eastern Europe. But in Iran, they see things rather differently. From the perspective of the Iranian regime, what we’re witnessing is not a re-run of 1989, but of 1979, when the Iranian people overthrew the western-backed Shah of Iran and the Islamic Republic was established. UPDATE: Mubarak has fallen after almost 30 years in power. Latest news from Egypt here. Now that their party is back in power, the Tories feel more confident about saying what they really feel think about the ‘common people'. Bus drivers, waitresses and other people in ‘unimportant’ jobs are not fit to sit in judgement on the business interests of former ministers, a senior Government adviser said yesterday. Tory peer Lord Lang said ordinary people were not qualified to judge whether former ministers such as Lord Mandelson should be allowed to take well-paid jobs in the private sector. 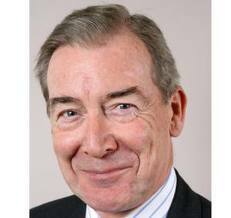 Lord Lang, chairman of the Advisory Committee on Business Appointments, which vets the jobs of former ministers, defended the ‘Establishment’ make-up make-up of his committee, which comprises four peers, two knights and a dame. The Mail also has an interesting sidebar on his Lorship's business interests. Lord Lang, who served as trade secretary under John Major, has carved out a highly lucrative portfolio of private interests since losing his seat at the 1997 election. The 70-year-old peer, who was educated at Rugby School and Cambridge University, is a director of no fewer than five corporations. His most prominent role is at giant U.S. insurance firm Marsh and McLennan, where he due to become chairman in May this year. He is also a non-executive director at the hedge fund Charlemagne Capital and the Russian energy firm SoyuzNefteGaz. Other directorships include Ukrainian wine company OJSC Sun Valley and management consultants SI Associates. Last year Lord Lang was one of a number of senior politicians caught up in a sting by Channel Four’s Dispatches programme. Researchers set up a fake lobbying firm to establish what politicians would be prepared to offer. Lord Lang submitted his CV and went for an interview. I don't know about you, but with his snobbish, elitist attitudes and his greed, I think Lang personifies everything that is rotten about Britain's political elite. Tunis yesterday, Cairo today, London tomorrow? This piece of mine appears in today's First Post. Tens of thousands of people, fed up with economic hardship, unemployment, and the corruption of their country's ruling elite, gather in their capital city's main square and call for the resignation of their pro-western government and for new elections to be held. No, I'm not referring to events this week in Cairo, but Belgrade. While Egypt's disturbances have made front page news the world over, Serbia's huge anti-government protests have gained far less media attention. And the Serbs aren't the only Europeans who are taking to the streets to express their disapproval of their leaders. UPDATE: In similar vein, here's John Pilger's latest: The Egyptian Revolt is coming home. In Washington and London, the regimes are fragile and barely democratic. Having long burned down societies abroad, they are now doing something similar at home, with lies and without a mandate. To their victims, the resistance in Cairo’s Liberation Square must seem an inspiration. “We won’t stop,” said the young Egyptian woman on TV, “we won’t go home.” Try kettling a million people in the centre of London, bent on civil disobedience, and try imagining it could not happen. Well, I can’t recall a more amazing game in the Premiership can you? In fact I’d say it was the most remarkable top flight match since QPR 5 Newcastle 5 in September 1984, when QPR were 4-0 down at half time... Remember that one? Well done to Newcastle for their astonishing comeback. And after a few weeks of boringly predictable results, wasn't it good to see something unexpected this weekend- not just at St James' Park, but at Molineux and Stamford Bridge too? And Wigan scoring four goals as well! This article of mine, on the Netherlands’ unhappy experience with postal privatisation, appears in today's Mail on Sunday. Hundreds of campaigners recently marched through David Cameron's Oxfordshire constituency to protest against Government plans to sell off the Royal Mail. 'The planned privatisation is an unnecessary ideological move which will damage postal services for ever,' said Billy Hayes, leader of the Communication Workers Union. While Hayes believes the sell-off of Royal Mail - in State hands since its inception in 1516 - would mean an increase in prices, a decrease in services and mass Post Office closures, Business Secretary Vince Cable claims the move will 'secure the services that consumers and businesses rely on'. Of course, they can't both be right. To find out what a privatised postal service really would be like, we only have to look across the North Sea to the Netherlands. And Holland's unhappy experience should give us all grounds for concern over what is about to happen in Britain. The free market fanatics came for our utilities, our railways and our airports. Now they’re coming to destroy our health service, our postal service, our publicly owned forests and our public libraries. You can read the whole of author Philip Pullman’s brilliant speech in defence of public libraries cuts over at False Economy website. And an abridged version was published in last Saturday’s Guardian. Tomorrow is Save our Libraries Day. Let's not allow the market fundamentalists who have already destroyed so much that was good about Britain, destroy our libraries. In the words of author Mark Haddon: "Libraries are being destroyed to save a banker’s bonus”. UPDATE: For an example of the extremist free market fundamentalism that Philip Pullman highlights, take a look at this anti-public library piece by Eamon Butler of the Adam Smith Institute. Apparently those concerned about public library closures are all middle-class Radio 4 listeners. This article of mine appears over at the Guardian's Comment is Free website. Neil Clark: The Lib Dems have proved less of a moderating influence than One Nation Tories in Thatcher's first years. Ask any genuine socialist or progressive which was the most extremist British government since the war and it's long odds-on that they'd say one of the three administrations of Margaret Thatcher. But I believe that is now an outdated judgment. For when it comes to political extremism the present government has already outdone Thatcher. The coalition, which its supporters ludicrously claims occupies the centre ground, seems hellbent on privatising the entire British state. Neil Clark: UK football won’t be rid of selfishness and greed until salary caps are brought in. Yesterday's events, on what the Daily Mail called the "craziest day in English transfer history", remind one of the classic post-war Italian film Bicycle Thieves. In it, a poor man and his son search the streets of Rome for his stolen bicycle which he needs for his work. His search proves fruitless. Totally demoralised and frustrated, he decides to become a bicycle thief himself. Acting selfishly can be contagious. You can read the whole of my First Post piece on the Fernando Torres saga, and why it's one big step back or the English game, here. In the sleeve notes of my ‘Best of John Barry’ CD, Jonathan Ross writes of Barry "If he were French then they‘d name a park after him and cover him in medallions''. Now I don’t often agree with Ross- but on this he was dead right. John Barry, composer of the greatest film music of all time, music which gave millions of people around the world a great deal of pleasure, didn’t even get a knighthood. Perhaps if he’d written boring, pretentious books and attacked Islam, it would have been different.